Most of us don’t stop to question exactly how Amazon delivers packages to our door. All we really care about is that the econo-sized laundry detergent we ordered was delivered to our door in 2 days flat, and that we may never have to leave our house again on a mundane shopping trip for the essentials. Many mechanisms are at work in the background to enable Amazon to stock, warehouse and deliver individual items to our door – probably in a process that would make our heads spin. But we don’t have to worry about how Amazon delivers to us, we just know that they always deliver, and that’s what makes it an awesome customer experience. Like magic, we don’t see the sleight of hand. We just see the end result. And it’s marvelous. You may not have Amazon-size resources, but the good news for small businesses is that simple, affordable technology has made it easier than ever to deliver an exceptional customer experience. Marketing automation provides a way for small businesses to tailor a unique experience for each consumer. The best news is, today’s tools are easier to use than ever before. For your first trick, all you have to do is place the marketing automation code into the back-end of your website. Typically you can just paste the code into the header or footer of your site. Now, in addition to seeing the number of visitors to your site each month through a tool like Google Analytics, the automation code can actually track individual visitors and record what they do on your site. This includes capturing any details they may submit to a form on your site – like their name, email address and how they heard about you. With more details about your individual visitors, you can better target future marketing campaigns and develop specific triggers for certain conditions. For instance, a visitor who heard about you on Facebook and visited your pricing page can receive customized email with an special offer for Facebook fan only. By grouping and organizing visitors based on their individual actions, you can communicate with them in a more personal way. 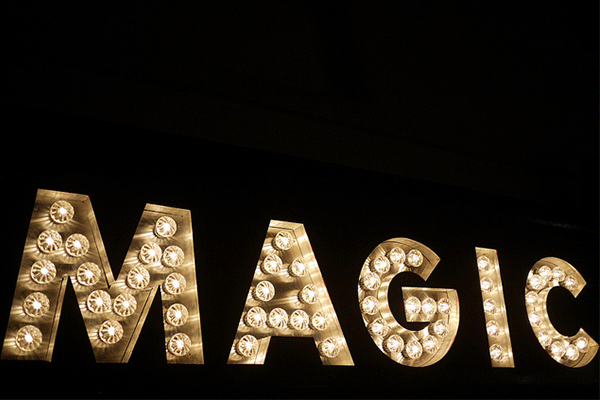 Targeted messaging makes potential customers feel special, and, like a good magician, you never have to reveal just exactly how you are so in-tune to their needs. When it comes to custom marketing content, Amazon has become the gold standard: Regular visitors see information not only on what they have bought and researched recently, but also on similar products they may like. Marketing automation allows B2B businesses a way to provide a similar experience by offering content customized to their behavior, ensuring your content is useful to them. So when a a contact in your database visits your blog, you can automatically follow up with an email campaign that delivers great information on the same topic. This, of course, is the secret ingredient to customer conversion: Provide potential customers what they want, leaving them in awe, wondering how you know them so well. One of the best things about marketing automation is that it can play nice with other software. Specifically, it can interact with an existing CRM. Better yet, you can invest in an all-in-one sales and marketing software that includes CRM and marketing automation in one package, ensuring an integrated marketing communications strategy for your business. With marketing automation and CRM all in one place, you can track the entire customer lifecycle – from lead, to prospect, to customer. You can even keep track of former customers and lost deals. This means something magical for the sales team: Being able to precisely analyze which marketing efforts have positively impacted the pipeline and which efforts have fizzled. This means not only understanding the ROI of each marketing campaign and of each marketing channel, but also determining where to accelerate spend to bring in more customers and more revenue for your business. With better insights into your marketing channels, you magically appear where your potential customers are hanging out the most. Marketing automation allows you to learn a little more about potential customers every time they visit your site. The more data visitors leave behind, the more customized experience you can create for them. The data collected is useful for creating emails that nurture specific customers, providing information tailored to their individual needs along with hyperlinks to more relevant information on your site. And best of all, the customer never thinks twice about all of the complex code making this magic happen: They are simply happy to have a company driven by their needs and committed to providing solutions. If you really want to see marketing automation magic at work, be sure to request a live demo!